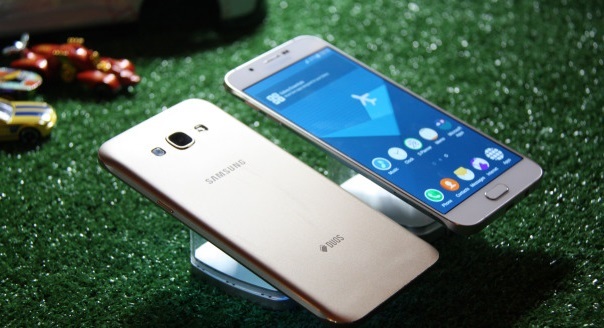 Samsung Galaxy A8 2016 offers a 5.7 inch Super AMOLED display, 2GB of RAM and 32GB of onboard storage. The camera setup includes a 16MP main shooter and a 5MP one on the front. Connectivity includes Cat.6 LTE, dual-band Wi-Fi ac, Bluetooth v4.1 and GPS with A-GPS, GLONASS/ BDS (market dependant). The local variant has the Snapdragon 615 SoC swapped for the Samsung-made Exynos 5433. Some Galaxy A8 versions did come with the Exynos 5430, but this is a slightly different version of the chip.